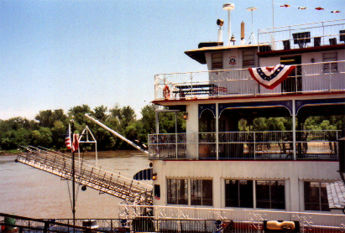 Take a cruise on the River City Star Riverboat, located at the Yacht Club on Miller's Landing. 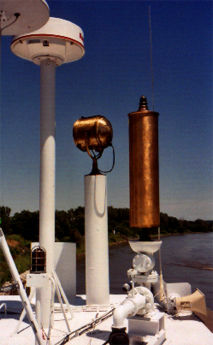 The boat was built in 1966 and refurbished in 2000 for passenger cruises in Downtown Omaha's riverfront project. 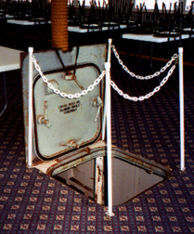 The Star has a deisel engine and an opening so you can see into the engine room. 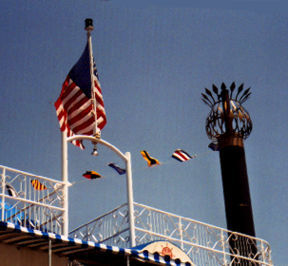 There's no sternwheel, as you can see from this picture (above), but the boat is so much fun you won't miss the wheel. 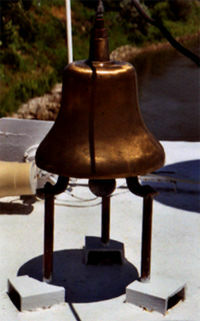 There are plenty of bells and whistles. 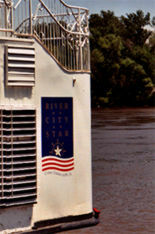 For calendar of cruises and more information, call toll-free (866) 227-STAR (7827) or log onto RiverCityStar.com.